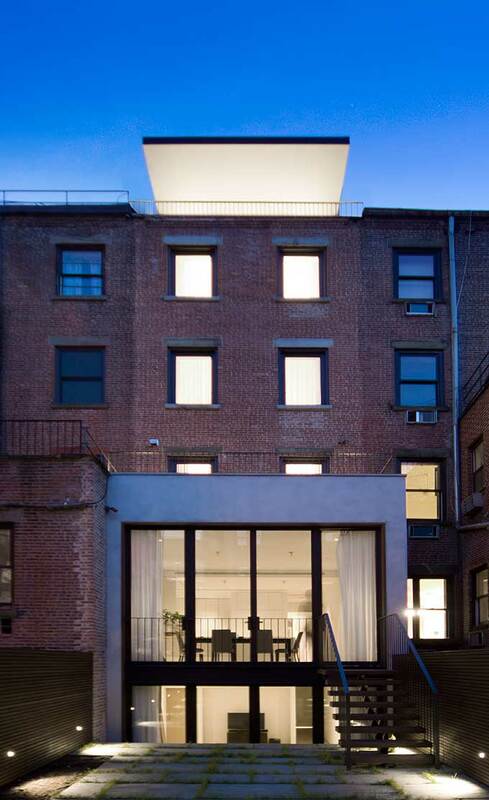 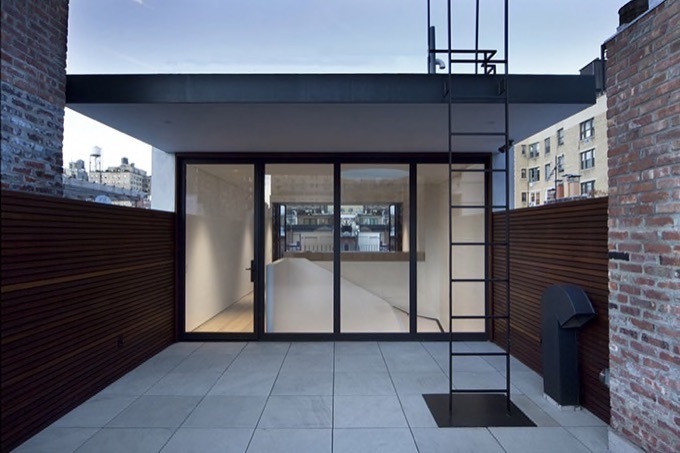 Inspired by the client’s loft-friendly lifestyle the design concept for their new home was to transform the traditional character of a narrow Upper West Side townhouse into a continuous vertical floor-through space. 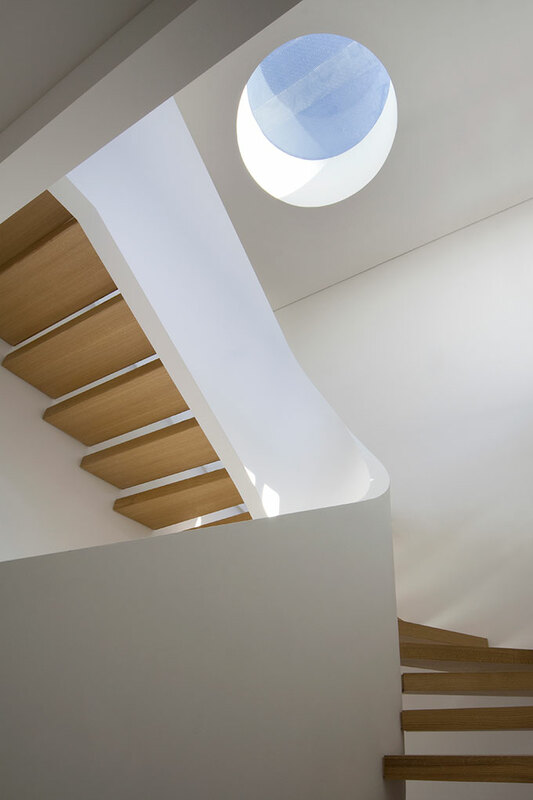 By conceptualizing the ’grand stair’ as a ‘snake-like’ coil, we were able to open up the house vertically with a dynamic light well. 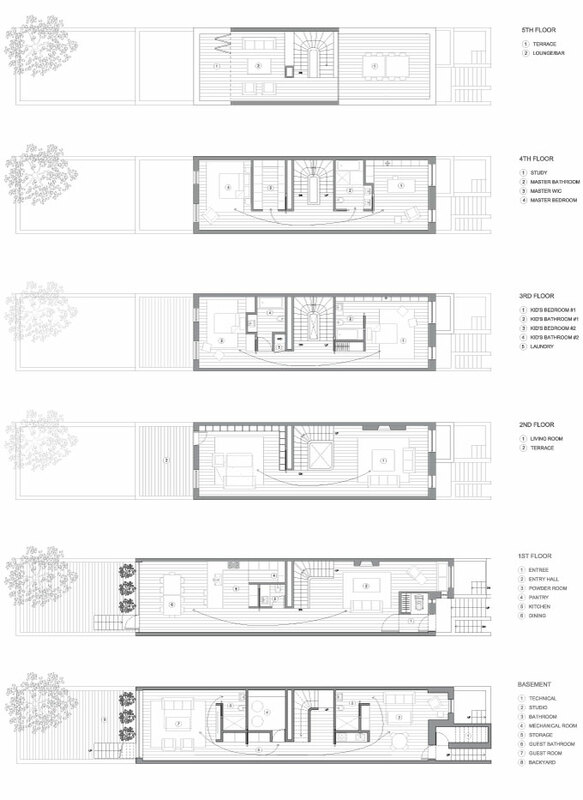 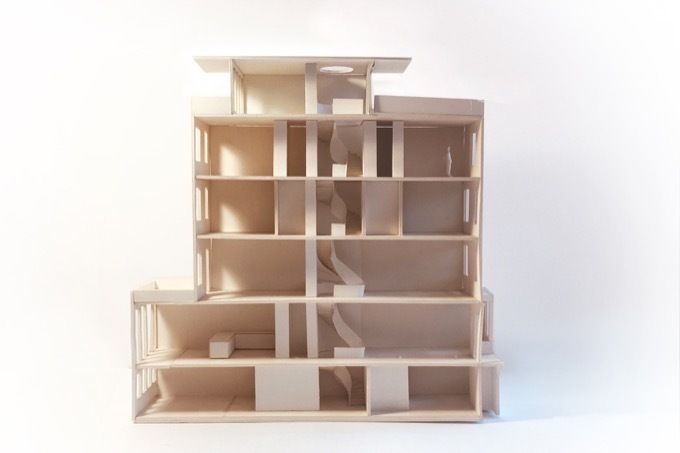 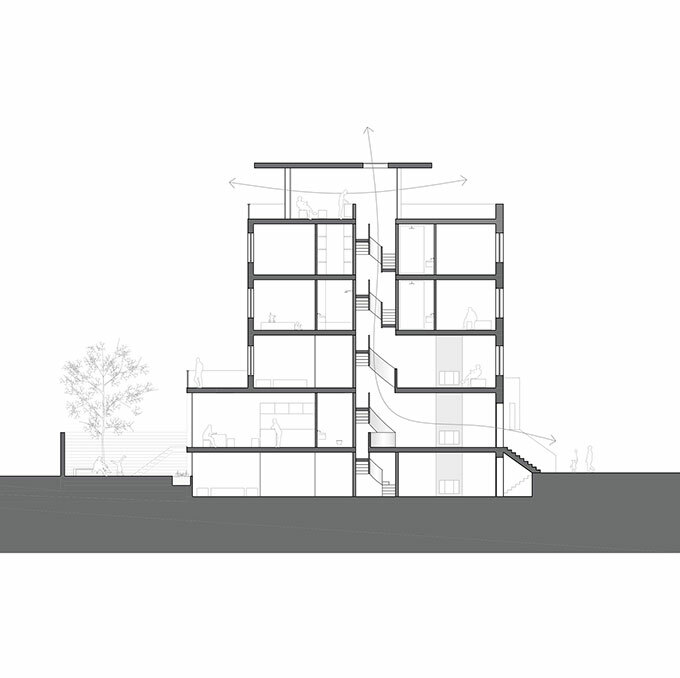 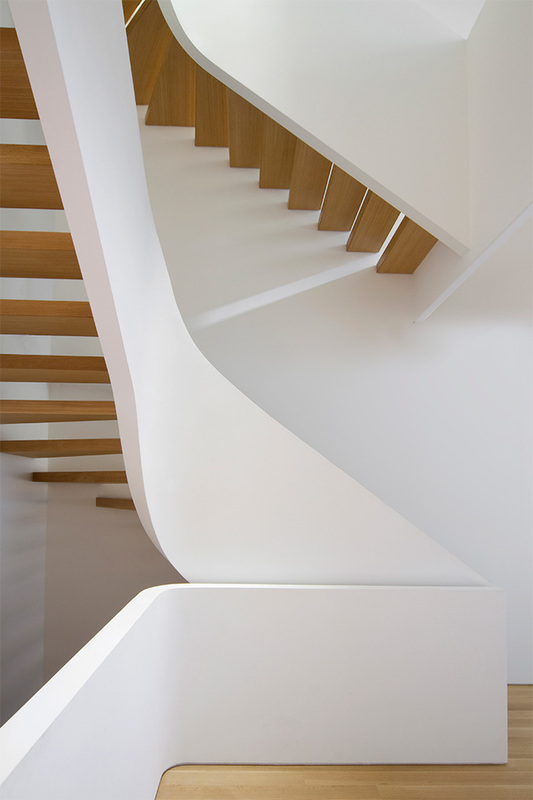 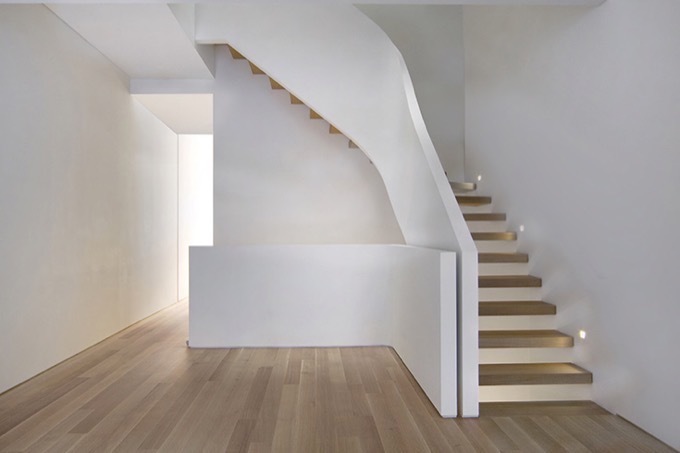 At the top floor the coil of the stair is in a tight U-shape, providing maximum floor area for the private spaces. 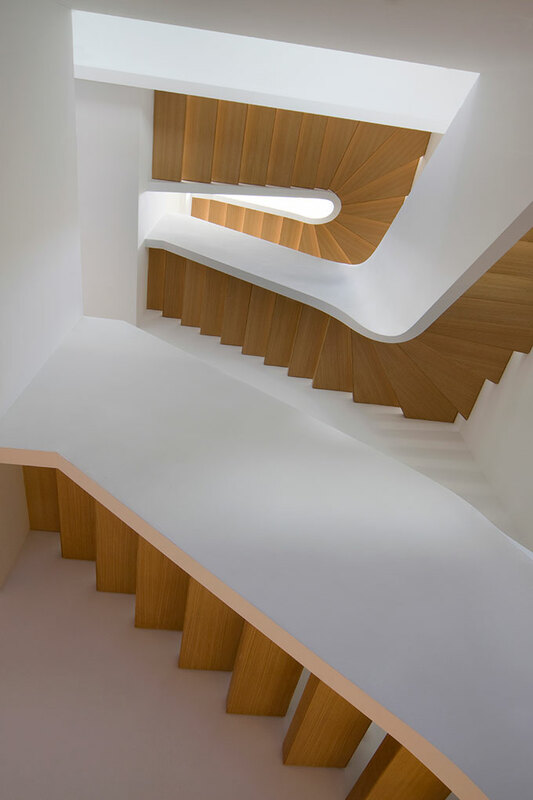 As the stair descends into the lower levels, where the most public spaces are located, the coil loosens, opening generously into its surroundings and allowing the most light through. 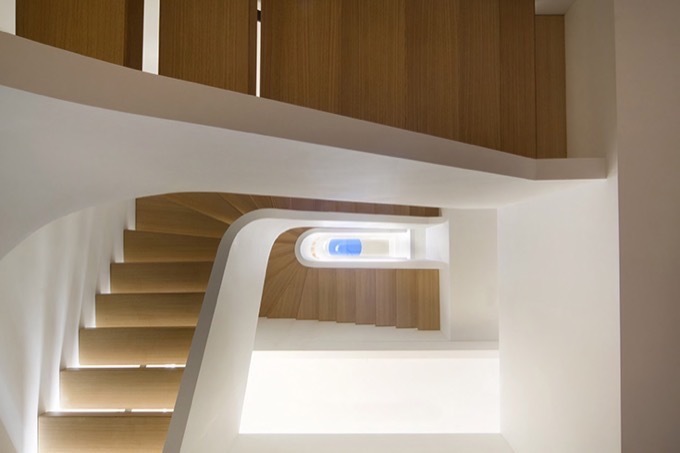 The light filters down to the ground floor as it is reflected off of the smooth white curves of the handrail creating a modern sense of openness and fluidity and uniting all 5 floors. 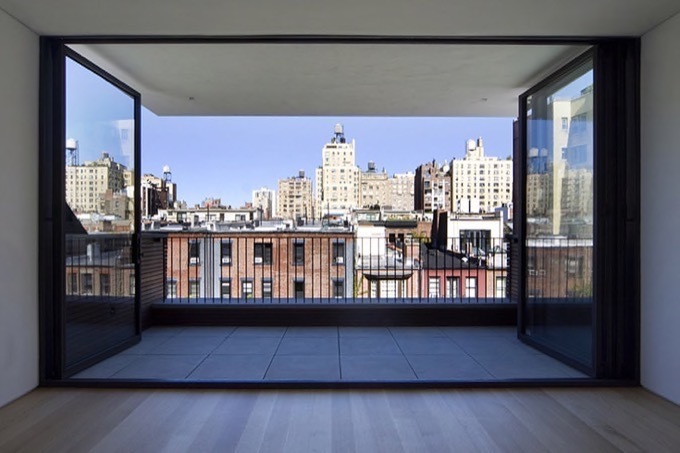 On the first two levels the fully glazed back facade opens seamlessly into the rear garden providing continuity between the interior and exterior and on the fifth floor, a new addition accommodates a private entertainment lounge with uninterrupted views of both north and south Manhattan.